Like kachori, samosa has multiple names like samoosa, samsa, somsa and this list goes on. According to wiki, samosa is claimed to have originated in the Middle East (where it is known as sambosa)prior to the 10th century. Samosas were introduced to the Indian subcontinent in the 13th or 14th century by traders from Central Asia . Interesting huh? In my native mini onion samosa are very popular, especially in theaters. But I never got a chance to relish it frequently as my parents restrict me from buying fried and oily foods from outside. I need to agree with them too. (Good girl naa ;-)) There are different varieties of samosa based on the filling and mini samosa called as cocktail samosas are party pleasers. 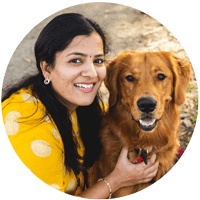 Today I am going post the classic samosa recipe with the potato filling. 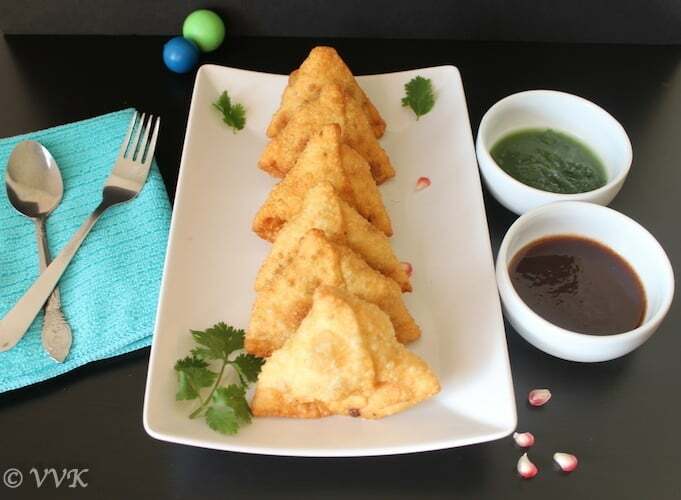 Shaping the samosa in to a cone shape is an art by itself. It might sound difficult but with practice you can master it pretty easily. There is a lot of room for improvement in my samosa too. I won’t say my samosa has perfect shape but it tasted awesome and it was perfect for other recipe that’s coming tomorrow. Shaping samosa is a basic geometry principle. For samosa we need an elliptical base cone instead of circular based cone. But to be honest, both works fine. All we need to do is, roll the dough in an elliptical form, cut into two halves and bring the edges of the halves together to form a cone. Once the filling is added, we need to make sure the base is flat so that the samosa can stand properly. If you have an elliptical base, this step becomes slightly easy. You slight fold the middle part on the edge of the base as a support and seal them all together. Hope I have captured everything in the quick video and also in the pictures. Here I am presenting the classic potato filled samosa served with green chutney and sweet chutney. In a wide mixing bowl, add the maida or all purpose flour, salt, ajwain,oil and baking soda. Mix well and make sure you the oil is gets coated in the flour properly. 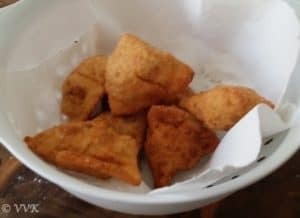 This ensure crispy samosa. Slowly drizzle water and mix the flour to form a stiff dough. Do not add more than 2 tbsps of water at a time. Add water on required basis and I added less than 1/4 cup only. Knead the dough for couple of minutes and cover it with a damp cloth and let it sit for sometime. Meanwhile we can prepare the filling. 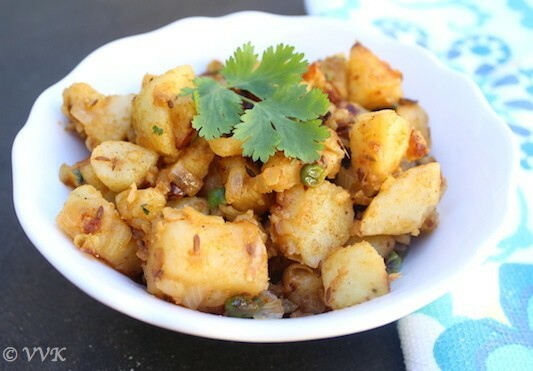 Boil the potatoes in your preferred way either by microwaving them or pressure cooking them. Let it cool and peel the skin and chop them roughly. Chop the onions and cilantro. If you are using frozen peas, thaw them or soak them into water for 15 minutes and make sure they in room temperature. Once the oil is hot, add the cumin seeds. As they start to splutter, add the chopped onion. Now add the peas and cook for two minutes. Then add the dry masalas – Fennel seed powder, red chilly powder, chaat masala and salt. Now mix them well and cook in medium flame until all water is evaporated. At this stage, add the chopped potatoes and mix well. Ensure the potatoes are coated well the masala. Cook in medium heat for about 5 minutes until light brown crust is formed. Turn off the heat and sprinkle chopped cilantro and mix well. That’s it. The potato filling is ready. Pinch a medium lemon sized ball from the dough and roll it in a elliptical shape. Now cut them into two halves. Using your finger tips, spread little water around the edges. This helps in sealing the samosas properly. Bring the open edges to the middle as show in the image and press them together to form a cone. Seal the tip of the cone and now fill the inside with 2 tbsps of potato filling. Press the potato filling and make sure there is some space to bring the edges together. Now slightly pinch or fold the edge as indicated in the picture and them bring the bottom edges together and seal them tightly. The folding helps the samosas to stand and it acts like the vertebrae. :-) Here is the quick video of shaping and filling the samosas. Now heat the oil for frying. 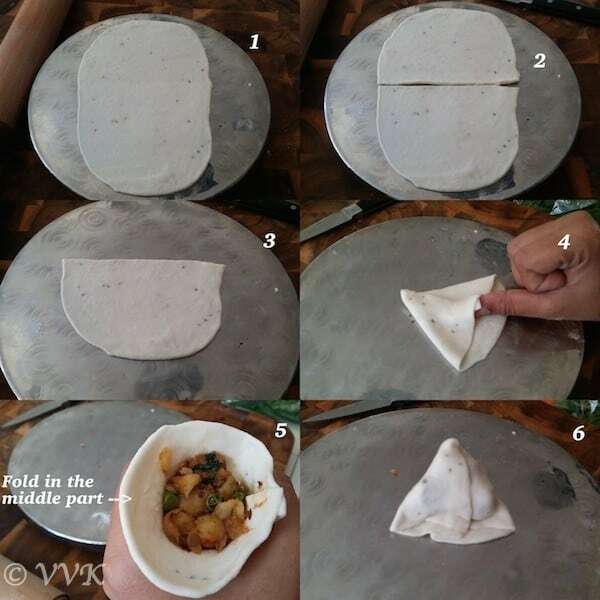 Meanwhile follow the above steps and shape more samosas with the remaining dough. Once the oil is hot, bring it to medium heat and slowly drop the samosa in the oil. Fry it nicely until it is slightly brown in color and take it out and let it sit tissue paper to remove the excess oil. I fried about 3 samosas in one batch. As samosa take comparatively longer time to fry, you might need to increase the heat to reheat the oil again. That’s it. Yummy samosa are ready. 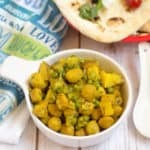 Serve hot with your favorite sweet or green chutney or with ketchup. While preparing the samosa dough, instead of oil you can add 2 tsps of ghee too. There are zillion potato filling recipes. I usually skip green chillies and also lemon juice. Also instead of garam masala, I add fennel powder and chaat masala. You can include garam masala too. Adjust the salt and spices as per you preference. Samosa – fried or baked savory snack with spicy filling. 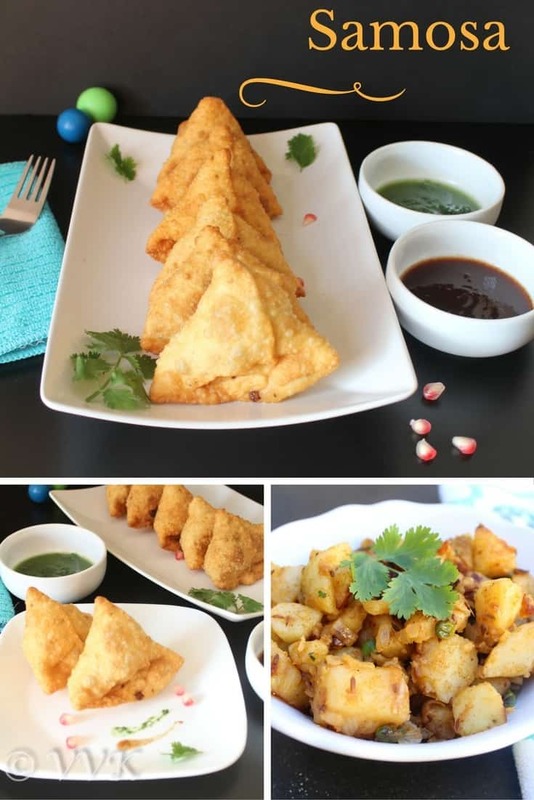 This samosa recipe has spicy potato filling with step by step instructions explaining how to shape. Then add the dry masalas - Fennel seed powder, red chilly powder, chaat masala and salt. Turn off the heat and sprinkle chopped cilantro and mixed well. 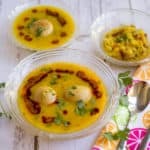 Looks like you had a ball doing this theme!..so many yummy snacks one after the other!..no wonder you had to take a break..lol..I guess I haven’t found a person who doesn’t like samosas..
ha ha.. Thanks a lot Valli. Vidhya these samosas are delicious. I do love them. 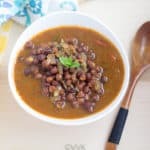 Such a classic dish Vidhya and you made them perfectly. Oh man…:-) lol.. Yeah there are tons of variations naa.. Thanks yaar. Wish u could send me a plate of this crispy samosa, would love to munch some with some hot sauce, drooling rite here. 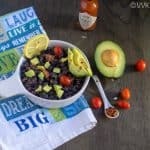 This is an evergreen appetizer for any party! My all time fav. 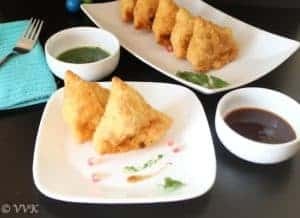 Nice video demonstration..
Samosas are always a hit..and these look so delicious, lovely video too. I have a batch to make this weekend, wish you were close by.love the way you have folded them. Thank you Sudhir and welcome here. I love samosas and have never tried making my own. I’m very tempted to try with your instructions! They look so good! Thanks lot Michelle.. Please do try it out and welcome to my space. Love Samosas! Nice video too! Sure Usha.. Will send you an email. I tried it with puff pastry sheets and it was more like err puffs.. 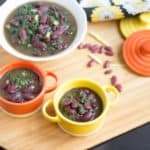 Need to try it from scratch too. Thanks Aruna. :-) Mine too.